Work for Oracle Exadata Cloud Service? Learning about Oracle Exadata Cloud Service? Oracle Exadata database has a very good performance and the best thing is that its hardware is optimised for the database services allowing users to get the best performance from it. The biggest disadvantage is probably price because it's very expensive but if you are considering Oracle Exadata you probably have enough funds for it. I would advice to hire an Oracle dba with in depth knowledge who has experience with implementing and administering Oracle database so that this person can configure the database correctly. Oracle Exadata allows us to handle any kind of workload (OLAP and OLTP) on the same database server and respond to business requests without any issues. It allows us to run warehouse reports as well as analytics and batch jobs needed for the business. "Super Fast, great addition to Oracle world"
Queries that use to run for hours take only minutes now if not seconds on EXADATA. My company implemented about 2 years ago for our Maximo and Siebel services and recently our team (Datawarehouse) was able to migrate over as well and the performance gains are easily noticeable. There have been many hiccups along the way and our current DBA team are not very familiar with the setup of the new system requiring our firm to hire outside consultants to assist in the implementation of it. We are still using them even now, but it is a lot more stable now then before. Be ready to have a firm migration path and have all stakeholders confirm that they will be available for it since it will hold up migrations if not everyone can do their part. Migrate our 7 year old server currently running Oracle 10g to Exadata. It has been a drastic change in performance, helping the business retrieve metrics at a much quicker response time. The sheer raw performance is nothing short of amazing. The separation of the database server and cell/storage servers results in a trul optimal architecture. The initital purchase price is preclusive for many shops. You have to send your DBA's to some addituional training calsses and/or hire some Oracle consulting. Plus the hardware components like simple server fans cost ten times as much as X86 ones even though they look the same. Factor in time for initial learning curve. Perfomance will exceed expectations even at first. But once you become more accustomed to Exadata you will tweak your databases to maximize even more. Achieving the fastest overall database performance enabling us to meet all service level agreements (SLA's). We've also been able to perform database consolidation and thus reduced our server count and power usage significantly. Exadata is what we use as our hardware platform with supper fast performance. We run peoplesoft and many other application and data retrieval and compliance tools (like OMT, BI tools) The hardware is dependable and is well supported by Oracle. Exadata is an expense and is required to run peoplesoft and we are tied into using this hardware platform. One of the other issue is we are required to upgrade this hardware many every three years, that adds to the cost of operating our system. It is expensive to operate and we are dependent on Oracle to keep supporting the hardware. We were able to consolidate numerous servers and database onto the Exadata platform with massive consolidation and great performance for mixed workloads. I am unable to use advanced feature due to having to license so many cores with Exadata. Platinum patching is inconsistent and more time consuming than we would like. We do rolling, hybrid and non-rolling patching but seem unable to achieve minimum down times desired. Moving to Exadata some previous performance problems that we were unable to get to were masked/resolved by migrating to Exadata. Were were able to lower our license counts as well. "Exadata for Performance and Stability"
Oracle Exadata has allowed us to run our mission critcial applications with an exceptionally high level of performance and stability. Patching is complicated but greatly enhanced with Platinum and ACS services (ACS especially for SAP environments). Have seen some gaps with Platinum DB patching over the years but they are still appreciated. "Engineered database but it has to be powered by good in house DBA Team"
Fantastic machine , hardware and software all engineered to make your workload faster. If you manage to optimize your query to use smart scans then its the best but you dont escape from testing and good well trained DBA team in-house. Oracle licencing is a nightmare , noone can understand what you can use and what you cant. Dealing with Oracle as a company is a nightmare. I wont wish it on my worst enemies. "ExaData database high level review"
It's easy to use. For staff who knows on prem database, it's not hard for them to pick up ExaData. Our enterprise project has been using Oracle DB for nearly 3 years now, now we are moving to ExaData Cloud service (ExaData) in OCI. We are running DB 12.1 now, moving to 12.2 and then to 18c soon. The migration of on prem database to Exadata can be tricky. The upgrade/patch on ExaData strategy is also not necessary the same as on-prem DB, like the PSU. Replace on prem Oracle DB. "A must for Big-Data systems"
- Querying is fast, faster that any other system. This is because EXADATA can execute the queries in the Storage itself! It saves a lot of time of sending and receiving files. The price. This system can be only afforded by big companies and for big projects. Mainly use for big data project and, in general, any project that needs to have databases with millions of rows. "my review for Oracle Exadata"
"Intelligent storage, fast processing - next-gen system for high-volume transaction processing"
The end-to-end support provided by Oracle as everything right from the hardware to the software comes from Oracle which reduces the downtime and dependency on various vendors.Also, the configuration for all customers is identical which helps in keeping down the number of issues and a faster resolution if at all any issue arises.Also, the compression capability for Exadata is commendable. The ease of use and the wide assortment of statistical functions is missing for it to be a complete data extraction and analysis solution. There are some performance issues with use of multiples views and CTEs in the same SQL query.Also, using SAS for analysis and Exadata for data extraction poses various challenges as data types and formats are different in Exadata then in SAS. The improvements are huge over the legacy database but Exadata is not a complete data extraction and analysis tool. SAS will still be required. Moving from legacy databases like SAND which were very slow and took ages to retrieve data, Exadata saves a lot of time in generating reports. "Great OLTP and Report performance"
We implemented and migrated core banking applications to the Exadata Database Machine. Exadata has become a suitable platform for our new basic insurance applications. Its fast. A much bigger box. Very very good performance. Its away from normal Oracle Database. So performance tuning is a little different and thus a learning curve. Works in report building. All report performance increased a lot. Saved a lot of time waiting for the report to show up. "Reliable, Fast, Increase in productivity"
Uptime, High speed through infinity band, multiple databases in one rack. Renewal cost of the licenses or Exadata / Exalogic hardware and patching activity. "exadata is best machine for run oracle databases in the world"
"Exadata in the Satellite Industry "
The performance is amazing. We used it for a data warehouse application and data analytics. Setup was difficult without Oracle experts. Proof of concept was a mess and hard to reinstall from for production. Self service reporting environment with the use of OBIIE. No need for IT report writers to help the business. It is fast . Capable of processing massive amounts of data. Massively parallel. Has in memory feature also. Very expensive. Not suited for small and medium organizations. Using exacta for the analytics engine. We process terabytes of data to perform aggregations and other analytics . "Oracle EXADATA is great product for migrating your database infrastructure towards on-prem cloud"
Speed and technical architecture. All in one box. Manage all aspect of software and hardware from single vendor. Licensing is expensive and can be prohibitive for small implementations. Speed of delivery of data. Performance is outstanding. Useful in a consolidation use case to reduce overall data center footprint. Cost can be substantial especially for smaller enterprises. 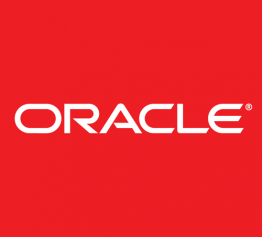 "Great solution by Oracle to optimize its Database perforormance"
* We monitor all Oracle Exadata Cloud Service reviews to prevent fraudulent reviews and keep review quality high. We do not post reviews by company employees or direct competitors. Validated reviews require the user to submit a screenshot of the product containing their user ID, in order to verify a user is an actual user of the product. Hi there! 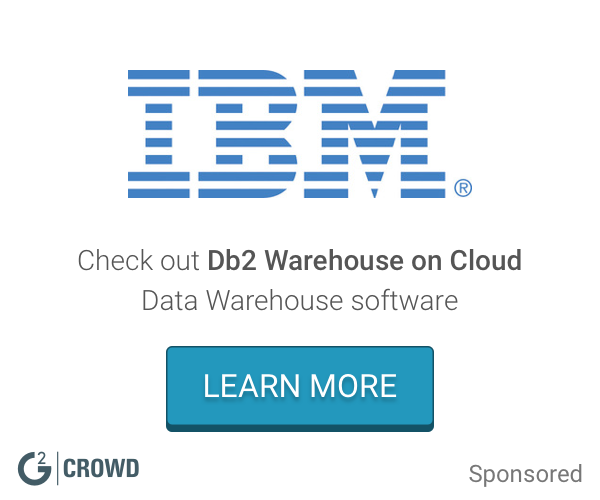 Are you looking to implement a solution like Oracle Exadata Cloud Service?